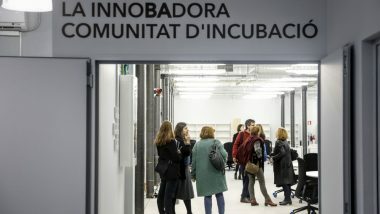 As from today, InnoBA is the new centre for socioeconomic innovation providing support for social and solidarity economy projects being developed in the city. 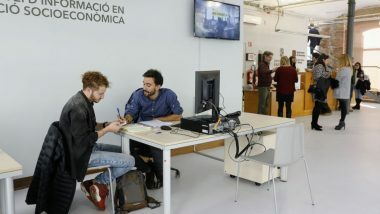 Located in the old Can Jaumandreu industrial building, in the neighbourhood of Provençals de Poblenou, InnoBA is part of the municipal strategy to provide resources for the social and solidarity economy (SSE), consolidating this sector as a driving force in the transformation to a fairer, more social and democratic city. 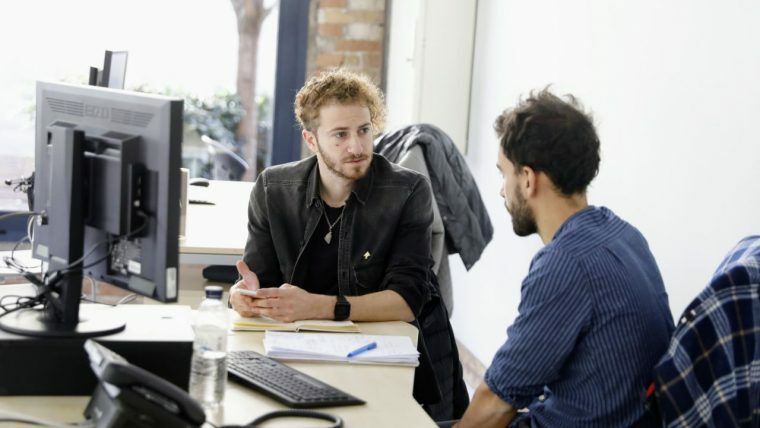 The SSE currently represents 7% of the city’s GDP and is experiencing considerable growth. In the last two years alone the percentage of such companies receiving support from Barcelona Activa has doubled from 4% to 8%, as has the number of cooperatives set up in the city. 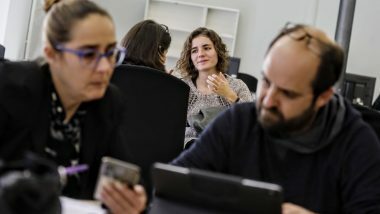 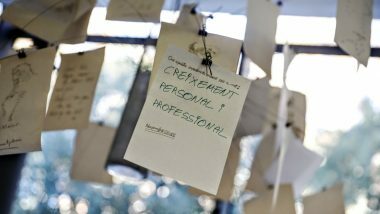 The centre will offer a support service for business projects with a social impact or transformational vocation, as well as strengthening the relationship with similar initiatives in other cities around the world. This international outlook on socioeconomic innovation has already started to take shape via the CITIES project, promoted together with Montreal and Seoul. One of the cornerstones of the services offered by InnoBA will be ‘La innoBAdora’, Barcelona’s fifth business incubator and the first to specialise in SSE projects, with a capacity for 56 workers and the potential to take in between 15 and 20 fledgling initiatives. Nine projects are already housed there and demonstrate the cross-cutting nature of this economic option as they include a travel agency for sustainable travelling and responsible tourism, a network promoting cooperative supermarkets and an educational video library. 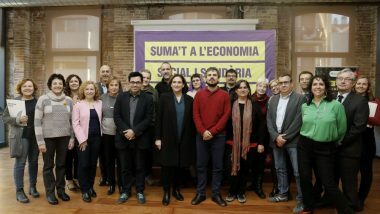 InnoBA will also have a role promoting the social and solidarity economy among the public, with various activities, programmes and services. 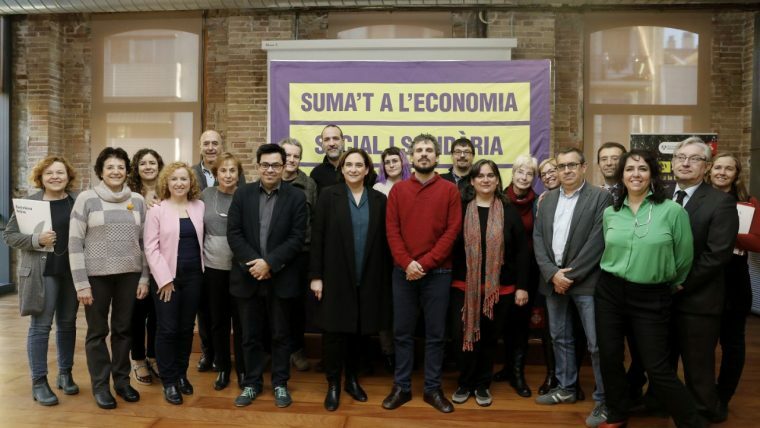 The location in the district of Sant Martí, in the 22@ area, was chosen specifically. 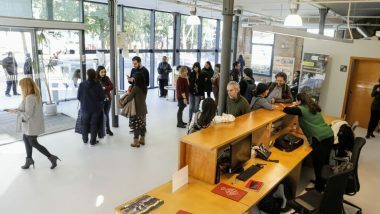 This part of Poblenou is a focal point for new-generation enterprises, makers, shared and collaborative workshops and others promoting change.